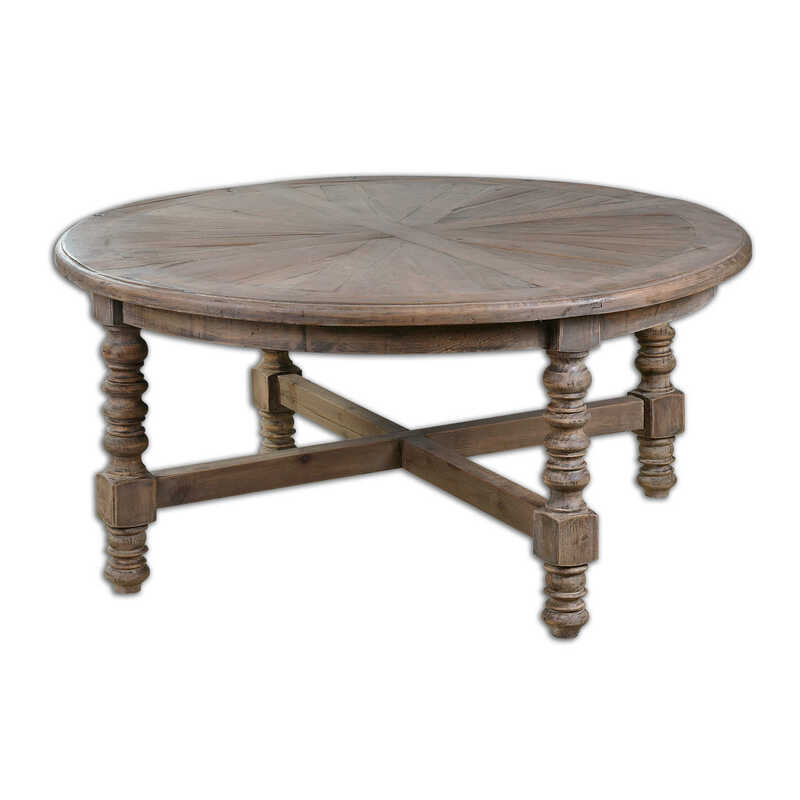 Built of 100% reclaimed fir, this table features hand-worked turnings and a sunburst top. 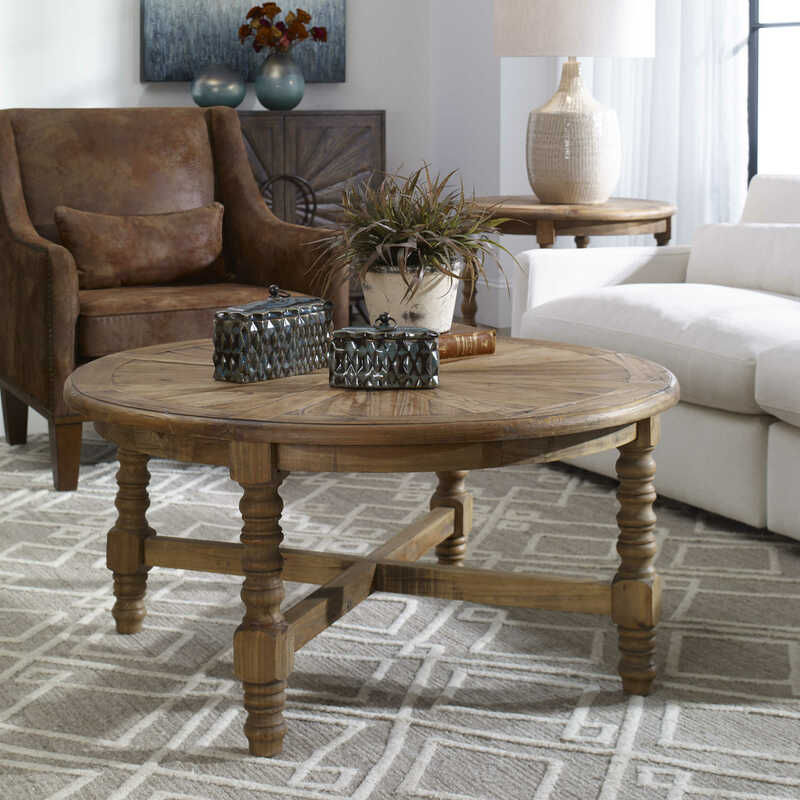 Showcasing the natural beauty and time-worn character of salvaged wood, slightly different shading, distress marks, and graining will occur. Solid wood will continue to move with temperature and humidity changes, which can result in small cracks and uneven surfaces, adding to its authenticity and character.